Specialized waste services for your business, no matter how large or small. Reliable and affordable waste removal service for your home. 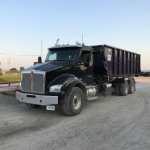 We offer roll-off dumpster services with onsite delivery and pickup. 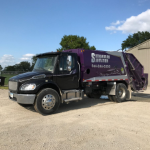 Shenandoah Sanitation was founded in 1955 by Ivan Scharp, operated by Bill Scharp starting in 1976, and operated by Jerry and Vicki Scharp starting in 1996. 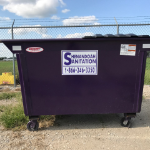 Since its founding, Shenandoah Sanitation has provided waste removal service for Shenandoah area families, residences, churches, municipalities, schools, contractors, businesses, and special events. We are proud to call Shenandoah our home. We strive to provide our customers with dependable service that exceeds their expectations.